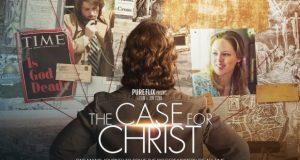 “The Case for Christ” has been turned into a movie – set for release by the Christian movie studio Pure Flix Entertainment on April 7. Strobel talked about the investigation that launched a series of apologetics books and now this film. This interview has been edited for length and clarity. Was there a single most compelling piece of evidence you encountered in your investigation? It was really a cumulative case. 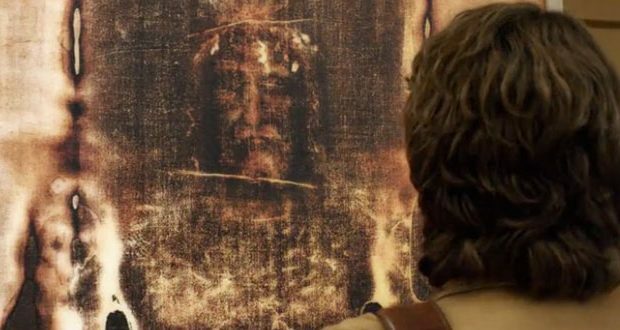 It was two years of looking into the resurrection – the minutiae of historical documents, archaeology, ancient history – and really trying to come to grips with whether this is credible. So it was kind of a journey where each piece of evidence added to the case. If it was anything, though, it was the resurrection that was the key. 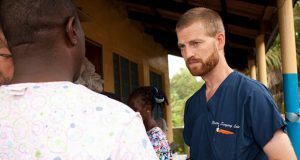 What was it like to see that investigation on film, not as a documentary but as a drama? It was difficult in some ways because it’s a very honest film. 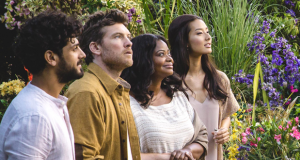 … It tells the story of an atheist who lives a very immoral and drunken and profane and narcissistic life, and that was uncomfortable to have that side of me portrayed on screen, but because it is ultimately a story about redemption and hope and forgiveness and grace, it makes it all worthwhile. It was hard to see some of those scenes about my early life portrayed, but in the end, I think it’s important that the film be open and honest. How much of the film is true to life, and how much were creative liberties taken? There are scenes that are just verbatim from our marriage. There’s one argument that we have in the film that just sends chills down my spine because I remember what a jerk I was in the midst of this whole thing. In order to tell this story, which takes place over two years, they had to do some time shifting, they had to do some composite characters, so you can tell the story in 90 minutes. So there are some departures from what actually occurred, but it’s all based on the true story, and, I think, very compelling as a result. Did that drive you nuts as a former journalist? Were you fact checking the script? I was constantly saying, “Wait a minute, which word did we use back then?” The movie takes place in 1980, so we had to kind of go back in memory to remember what life was like then. Of course, we all dressed bad. Some of the great scholars (who I had interviewed) like Dr. William Lane Craig and Dr. Gary Habermas are portrayed in the film by actors. They sure got a kick out of that. These very starched academics wanted to know who was playing them and make sure the script was accurate and so forth – quite understandable. There’s been a lot of discussion about how much people trust the media and how it portrays Christians. Is this something you’ve seen change since the ‘80s, and if you undertook this investigation now, do you think it would turn out the same? I think the evidence for the Christian faith is clear and compelling. I found it persuasive, so I don’t think that’s changed. The media has changed. Christianity – well, the culture has changed. People are more indifferent toward faith than they were back then. There’s more hostility toward faith than there was back then and more conflict as a result, but I think people these days, because of that, are looking for an anchor in their lives. They’re looking for something that transcends the shifting sands of the culture and has a foundation that’s firm and secure, and I think that’s true of Christianity. I think it becomes ever more relevant. The historical data for the life and teachings and death and resurrection of Jesus are all the more relevant today than ever.